You won’t have to dig too deep for this jewel of an ink. 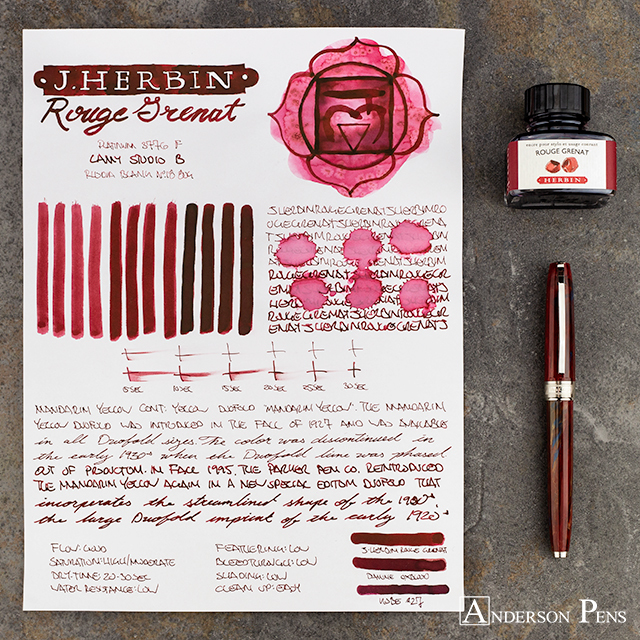 Released last year, Rouge Grenat is a newcomer to the J. Herbin line. As the title implies, the ink is a rich, garnet red. 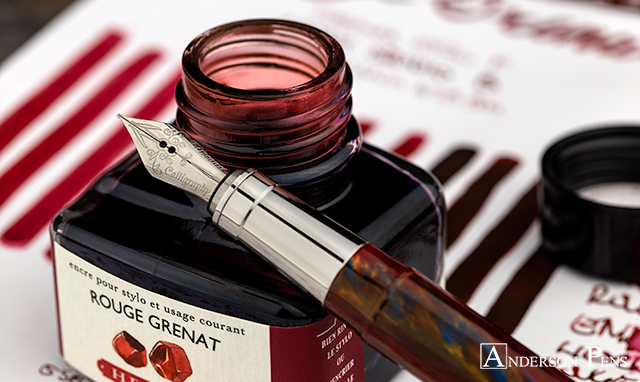 Rouge Grenat comes in a 30ml glass bottle that has a charming pen rest indentation on the top of the bottle. This review was done with a Platinum 3776 F, Lamy Studio B and on Rhodia blank No.18 paper. 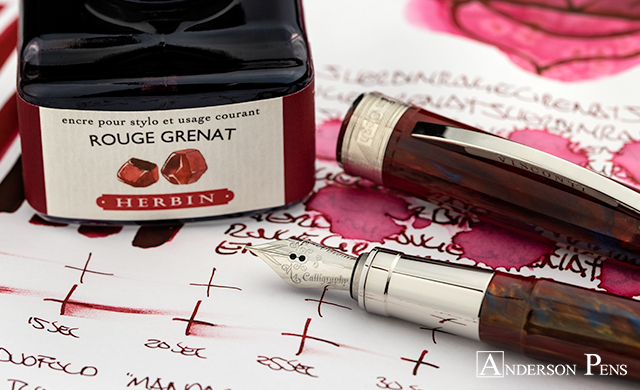 Rouge Grenat doesn’t display a ton of shading, but the range of reds it does produce is quite lovely. 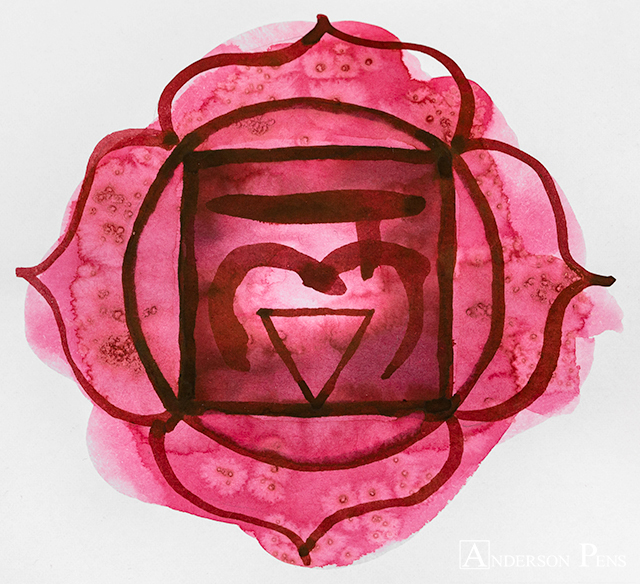 At its lightest, the ink is a ruby crimson. 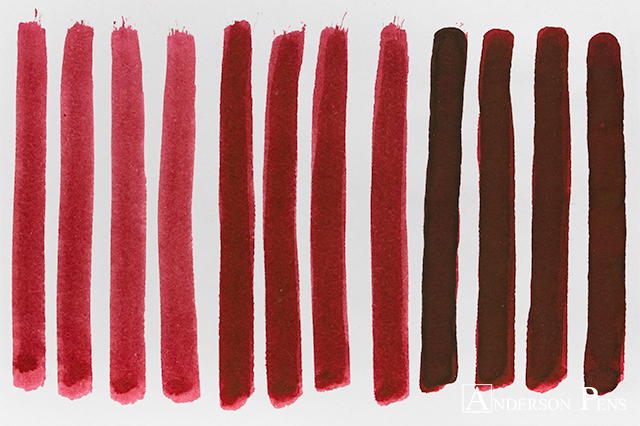 From there, the ink shades to saturated garnet tones. The darkest the ink gets is a deep mahogany red. Unfortunately, the ink doesn’t produce any sheen. 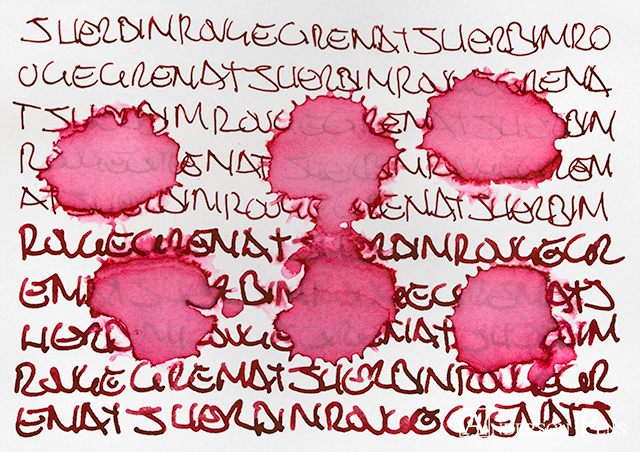 Because they are made with natural dyes, Herbin inks tend to write on the drier side, but Rouge Grenat still had good flow. 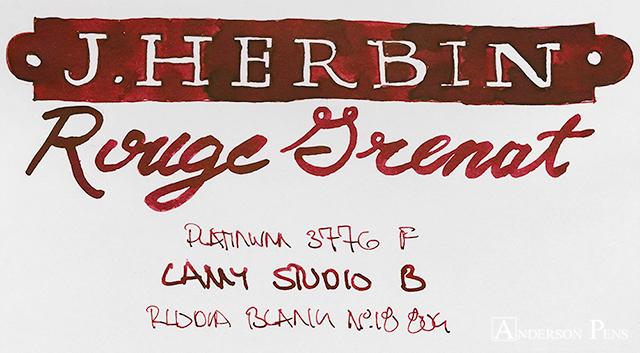 Personally, I prefer a drier ink for some pens so it’s nice to know that Herbin is a reliable choice in those situations. The ink was highly saturated with no feathering or bleedthrough on Rhodia paper. Dry times were good at 20-30 seconds. There was little to no water resistance, but cleanup was easy. 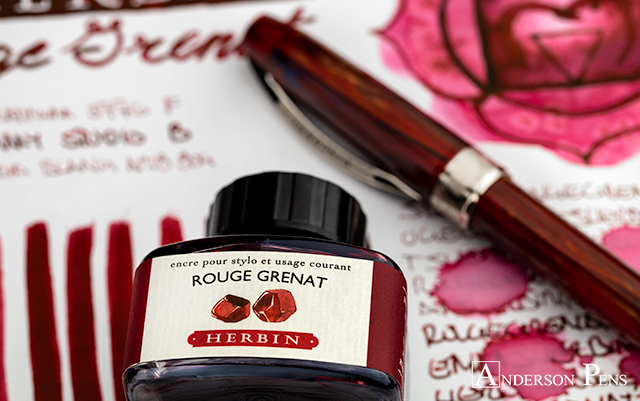 Rouge Grenat is a great addition to the Herbin lineup – before its addition, all of their reds were closer to pink than to a true red. This ink, on the other hand, is dark enough that you might even be able to get away with using it at work, or you could play it safe and use it for everything else. 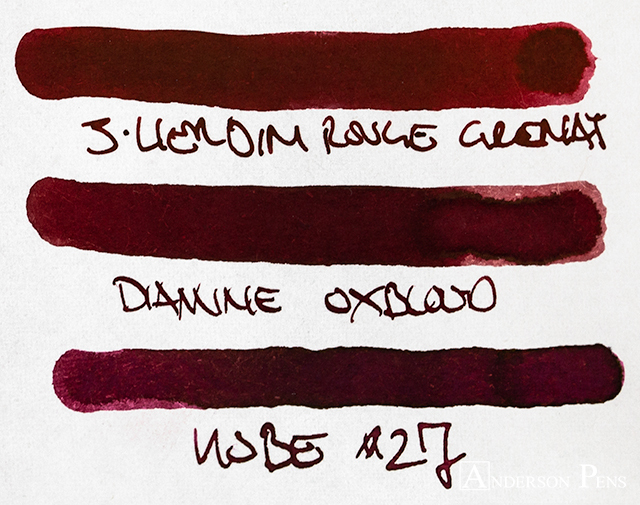 If you’re a fan of Diamine Oxblood, be sure to give Rouge Grenat a try. This entry was posted in General Interest, Ink, Ink Reviews, thINKthursday and tagged ink, ink review, J. Herbin, thINKthursday. Bookmark the permalink.